Get up to 7 free auto shipping quotes from the largest, most trusted Oregon auto transport companies and save up to 50% on your car shipping rates at CarMoves.com. Car shipping companies in Oregon compete for your business, which is how you can save hundreds, if not thousands of dollars on car transport services by shopping with us. Whether you're shipping a car to Oregon, across the country, or even overseas, we can help you get the best price on your shipment - guaranteed! Read more about the following auto transport companies in Oregon before getting a quote. Click on the name of the company to read a full review. 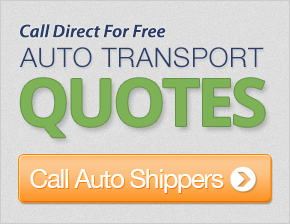 Get a free auto transport quote today to find out how much it costs to ship a car to or from Oregon! Found in the Pacific Northwest, Oregon is the US state with some of the most magnificent surroundings. The state has its fair share of urban centers, as well as vast expanses of wilderness in the form of national parks. National forests run straight through the entire state in a north-south direction just east of the Willamette Valley, where its major cities are located. The highlight of the wilderness in the state is, without a doubt, Crater Lake, the deepest lake in the country. Crater Lake National Park encompasses the hollowed out remains of the former volcano Mount Mazama. Though no river supplies water to the lake, natural rainfall and snow refresh Crater Lake continually. Oregon, however, is not just a place to see nature's many wondrous feats - it also contains some of the most modern and pleasant cities in the country. Portland, the state's most populous city, lies just across the Washington state border. The city is known for housing technology manufacturers like Intel, as well as a large number of artistic and creative businesses. Portland also takes the lead nationally when it comes to green ways to transport to work, school, or shop. Walking is relatively easy for many due to the well-planned city streets, streetcars transport workers downtown, and light rail lines move people between the inner city and the suburbs. 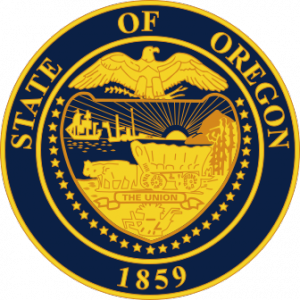 Besides technology jobs, Oregon also has an important place in the US agricultural industry. The state ranks third in total wine production, with varieties that rival French counterparts in terms of quality and taste. Hazelnut production in Oregon tops the country, and significant amounts of cranberry and grain are also produced locally. Thanks to the abundance of forests, timber production is very high, though total amounts have dropped in recent years to better accommodate the need for sustainable use. Overall, there are many reasons to visit or move to Oregon, and few complaints - save, perhaps, for the numerous rainy days that characterize the northwestern US states' weather. CarMoves.com works with car shipping companies throughout the state of Oregon. We can help you get the best prices on car transport services to the following cities in Oregon: Portland, Eugene, Salem, Gresham, Hillsboro, Beaverton, Bend, Medford, Springfield, Corvallis and many more. If you don't see your city listed, don't worry - we can get your vehicle shipped anywhere in Oregon. Scroll to the quote section on this page to compare free auto shipping quotes from up to 7 Oregon auto transport companies and save up to 50% on your move! View the Oregon Department of Transportation website for more information.